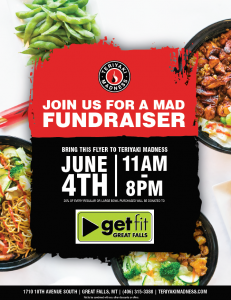 Join Get Fit Great Falls at Teriyaki Madness on June 4th from 11:00am-8:00pm to help raise money to supporting healthy, active lifestyles throughout our community! By bringing in the flyer below, or showing it to cashiers on your mobile device, Teriyaki Madness will be donating 20% of every adult entrée or junior bowl directly to Get Fit Great Falls. 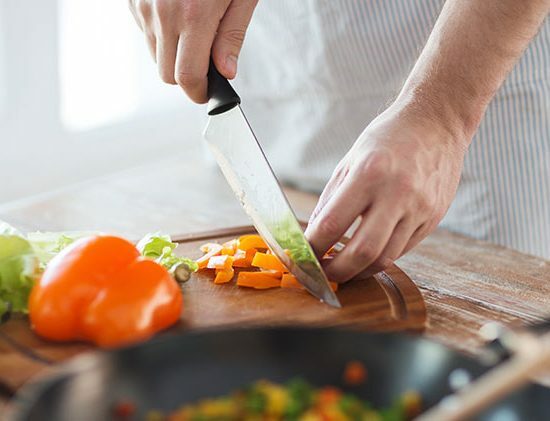 There will also be a 20% donation for any catering orders made on that day.